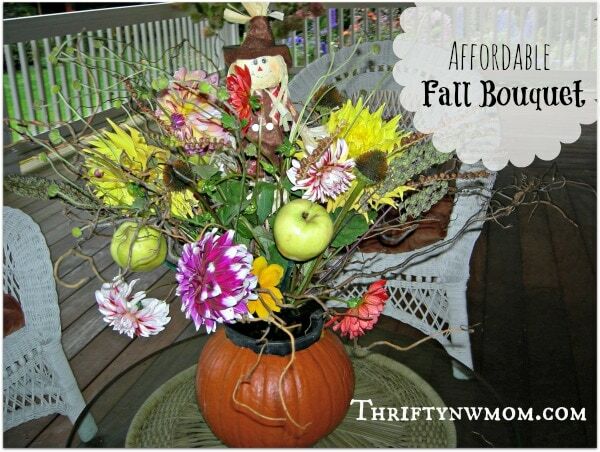 Here is a fun and affordable idea for a fall pumpkin centerpiece idea. You can use it indoors or outdoors! Simply start by carving a pumpkin for your vase and you can add anything to the middle to make it fun. You can hollow out a pumpkin and add a plant in its own container (mums would be beautiful in one), or you can actually plant something in it. The pumpkin above has succulents planted in the pumpkin itself. If you want to make something that is going to last a little longer, you could also use one of those plastic pumpkin containers that kids use for trick or treating and put something like a pot of mums in that, for some seasonal decor. For the arrangement above we used sticks from the yard, a couple of apples from our kitchen (add them to a stick and they can easily become part of a fall centerpiece), a scarecrow from the dollar store and a few flowers from the garden. We just reused a black container that some flowers had come in earlier in the summer (you can often get these for free at your local home store (used), try asking). Then we picked up some floral foam at the dollar store, and put that in the black container. The black container went inside the pumpkin, and we added the items to the floral foam until we had an arrangement we liked. Grab a small pot of mums. I found the 1 gallon size at my local grocery store for $3.49 a pot. The colors of the mums would be beautiful in a pumpkin vase. A jar candle would be a fun and simple centerpeice when added to your pumpkin vase (get one that is fall or pumpkin scented!). Wheat bundles(often found at the dollar store) could be used instead of the flowers in here for a full fall rustic look! A potted fern is usually very affordable, and would look great in a pumpkin vase. Whole nuts and a nutcracker. 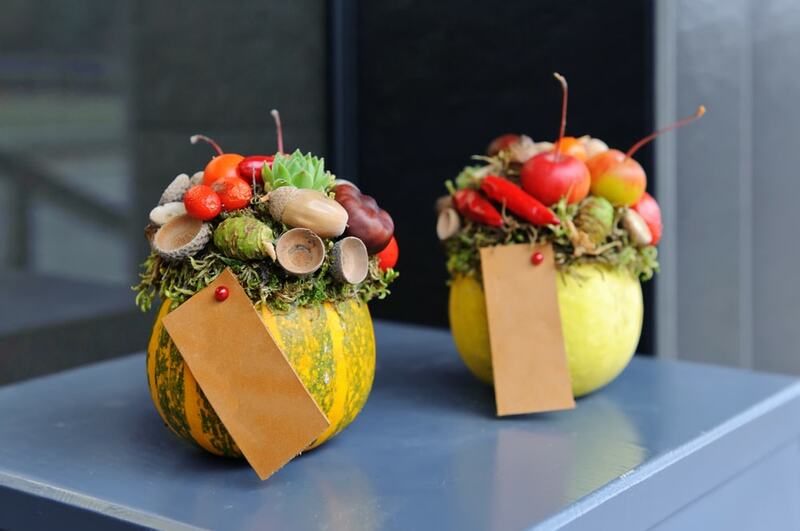 Line your pumpkin vase with a plastic bowl and add whole nuts and nut cracker for a fun centerpiece for a party. Use a plastic or ceramic pumpkin, verses a real one, if you want it to last beyond the Halloween season. 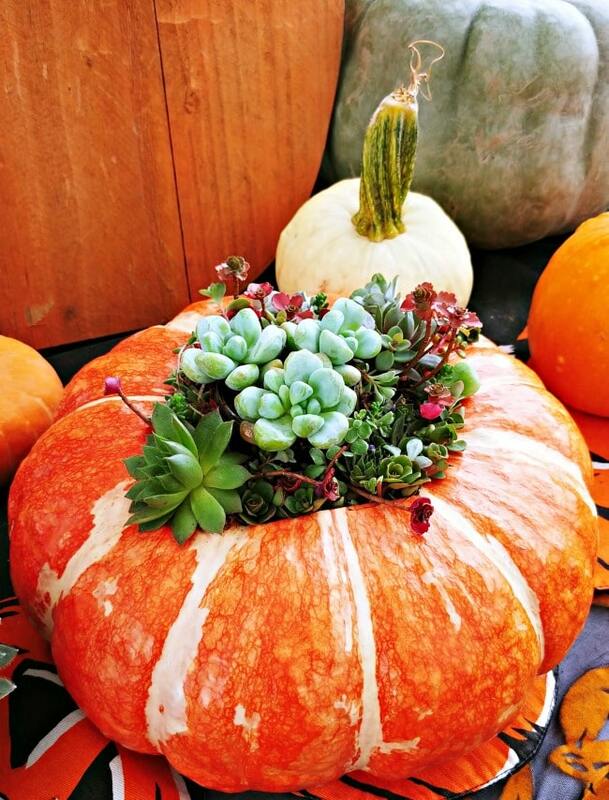 We saw this cute pumpkin with succulents planted in it at Picha Farms this year! I loved this beautiful white and orange pumpkin, used to plant these succulents. So pretty! 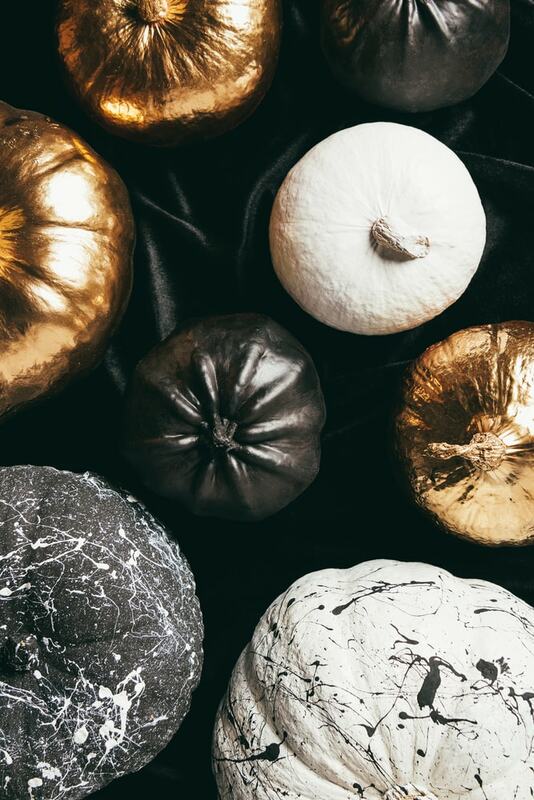 Pumpkins can also be painted just about any color (quick coat of spray paint, metallics usually work best for this). You could also find different gourds and use them in the same way, or a white pumpkins! Last year we carved out the mini pumpkins and used them as tea light candle holders. Your imaginations is really your only limitation! Lining them with burlap and moss, is another great way to make a beautiful Fall arrangement in a pumpkin. Then get creative with what you add to it too. 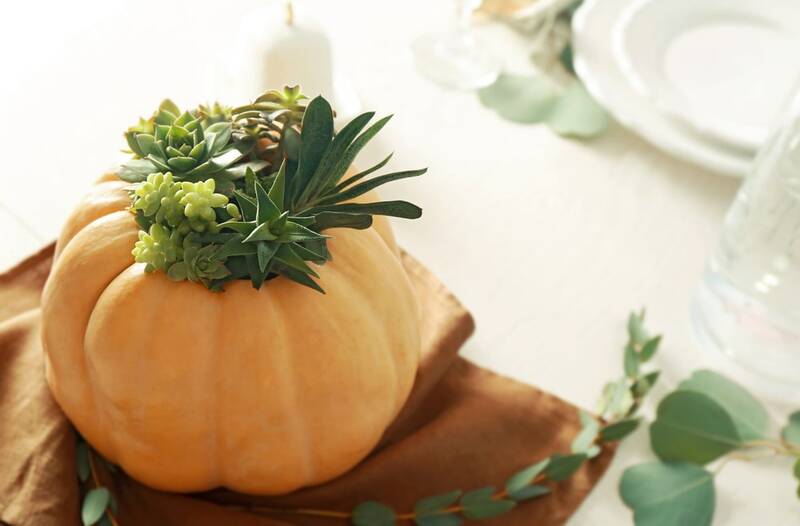 If you want to do something for the inside of your house, you could buy one of those faux pumpkins and use an exacto knife to cut out a hole that you could put a pot of your favorite plants in too. You will just need to find one that is made of a material you can easily cut through. The paper mache ones you can sometimes find at hobby stores are great for this, you will just need to line them with a plastic planter inside once you have cut the hole out. Is there a favorite way you love to present Fall arrangements? You might also be interested in our DIY Scarecrow project using items you may have at home, or check out our Fall Projects page for more inspiration! That centerpiece… is….. well……… sorry.. awful. your mechanics are showing and all the florals are way up in the air.. FLOATING APPLES? ugh.. sorry… I’d love to come show you some IDEAS of what you do as a professional florist. and share some tips on how to keep that pumpkin happy for a LONG time before spoilage happens. Margaret, please share what you can. I love the idea, but in my apt that stays quite warm (w/o turning on heat) I’d be afraid of quick spoilage. Great idea, though!